NEW COURSE ON JEWISH FAITH, REASON & EXPERIENCE! This course is brought to you by the Jewish Learning Institute. 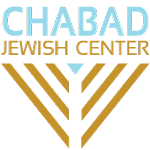 Chabad Jewish Center is now a registered affiliate of the JLI. Six Tuesdays, Beginning February 5. $55.00 Early-bird fee until Jan 7.